Ohio Governor John Kasich, the GOP’s ‘Great White Hope’?? 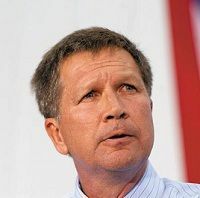 After finishing a long distant second in the New Hampshire primary, Ohio Governor John Kasich’s plan to be the GOP’s ‘Great White Hope’ seems to be moving along. Now it seems the media is finally looking more closely at Kasich’s record in Ohio. We’ve been screaming about his lies ever since he joined the race for President. This entry was posted in Politics and tagged 2016 US Presidential Election, GOP, Governor John Kasich, New Hampshire, political campaign, Republicans on February 11, 2016 by Doug. American Enterprise Institute non-partisan? HA! 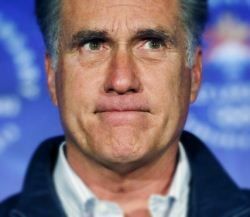 It’s common knowledge that Mitt Romney massively lied during the first Presidential debate on October 3rd. Now it seems he’s blatantly lying in his campaign advertisements. One in particular, running in my neck of the woods, claims a source for some tax data is non-partisan when in reality the American Enterprise Institute is far from non-partisan. This entry was posted in Media, Politics, Television and tagged 2012 US Presidential Election, American Enterprise Institute, Bush tax cuts, false advertising, GOP Fail, lies, Mitt Romney, political advertising, political campaign, taxes, trickle-down economics on October 8, 2012 by Doug. I’m sure everyone has seen the video of Mitt Romney talking about never getting the vote of the so-called 47% of Americans who pay no income taxes and who will vote for the President to keep the checks coming. My amusement came from the fact that what he said is how people like Romney actually feel about the rest of us regular people. Some have called it a gaffe and then Republicans trot out gaffes said by President Obama at different times as if it’s the same thing as what Romney did. It’s a false equivalency, the Republican whine shows they are missing the forest for the trees. This entry was posted in Uncategorized and tagged 1%, 2012 US Presidential Election, 47%, cheap labor conservative, Democrats, false equivalency, gaffes, Mitt Romney, political campaign, President Barack Obama, Republicans on September 24, 2012 by Doug. 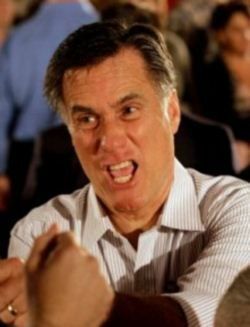 Mitt Romney: Don’t look behind the curtain! Now that the party conventions are over, the meat of the 2012 US Presidential campaign gets underway. Non-stop campaign stops in battle ground states and wall-to-wall advertisements on TV and radio. Except this week here in Ohio. Ads from the Romney campaign have been few and far between. Since the Democratic Convention ended I’ve seen one ad from a pro-Romney super pac and one Romney ad. Picking up where the GOP left off during their convention, the new Romney ad is less than truthful and contradicts Ohio’s Republican Governor John Kasich. This entry was posted in History, Media, Politics and tagged 2012 US Presidential Election, auto industry, bail out, campaign advertising, Governor John Kasich, Mitt Romney, Ohio, political campaign, President Barack Obama, Republicans on September 8, 2012 by Doug. Monday August 27th starts the US Political silly season with the Republican National Convention in Tampa, FL followed on September 3rd with the Democratic National Convention in Charlotte, NC. I will be barely paying attention to them as to me they are nothing but an expensive pep rally before the final three months of the campaign. Conventions lost their usefulness years ago and the only solace I have is the broadcast networks won’t be having gavel-to-gavel coverage. I’ve got better things to do. This entry was posted in Culture, Media, Politics and tagged 2012 US Presidential Election, convention, Democratic National Convention, Democrats, nerd prom, political campaign, Republican National Convention, Republicans on August 26, 2012 by Doug.